Read Rhiodola Rosea Root reviews below! The calming effects of Rhodiola rosea tea have been known for thousands of years. From the stress of life in rural China to the depression-inducing weather of Siberia, this particular herbal tea has been soothing and calming people for generations. The chemical constituents found in Rhodiola rosea can affect the hormonal levels of the body and induce relaxation. Rhodiola Rosea Root is the premium choice to counteract the mental and physical effects of stress. * This potent herb from Swanson helps reduce levels of stress hormones while supporting levels of key brain chemicals involved in regulating mood. 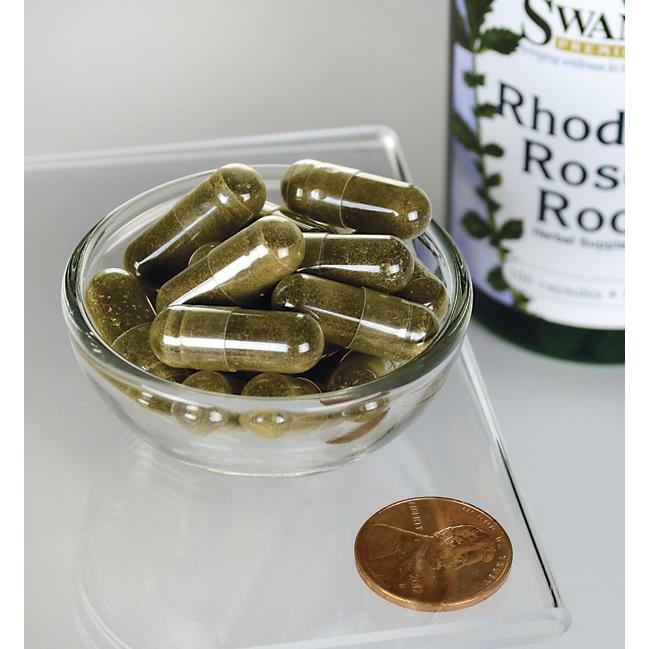 * Our powerful capsules contain 400 mg of rhodiola root powder and provide a great way to conquer the mental and physical challenges of stressful times. * Read Rhiodola Rosea Root reviews from our customers below! Q: Some of the capsules are a different color. Why is this? A: Many of our botanical products exhibit natural color variation. The coloring varies from light brown to dark brown. This is simply cosmetic and does not affect the quality or potency of the product. Other ingredients: Gelatin, rice flour, silica, calcium palmitate. WARNING: Do not take if pregnant or nursing.